The Sarafina Full Seat Breech is Romfh's softest, most luxurious breech! 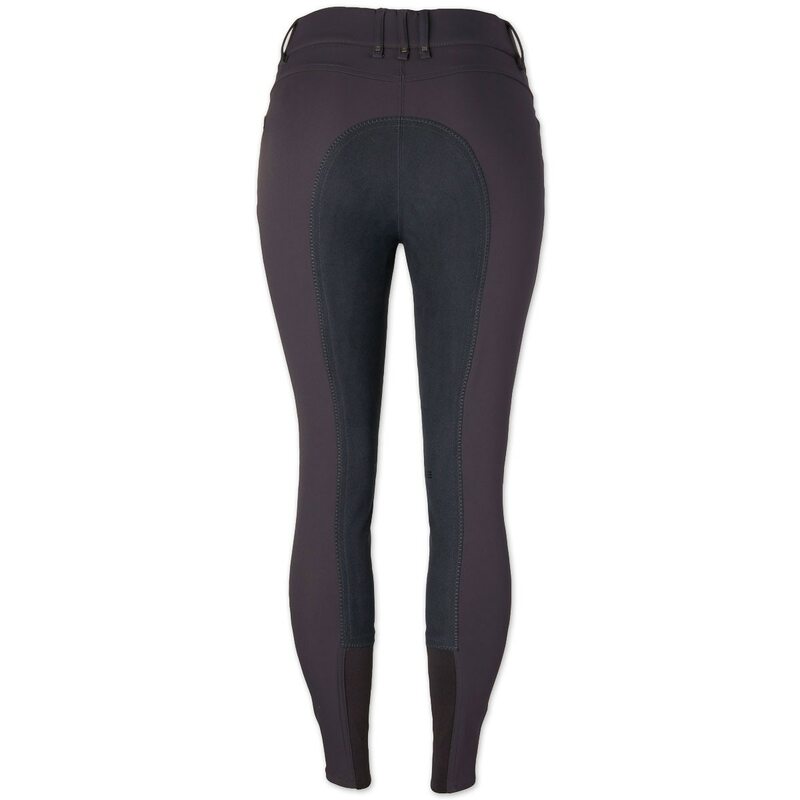 made of Softtouch (TM), a technical micro-PU fabric, this breech will be able to keep you going in the saddle all day long. Full seat features a vertical stretch synthetic suede for ultimate in comfort. 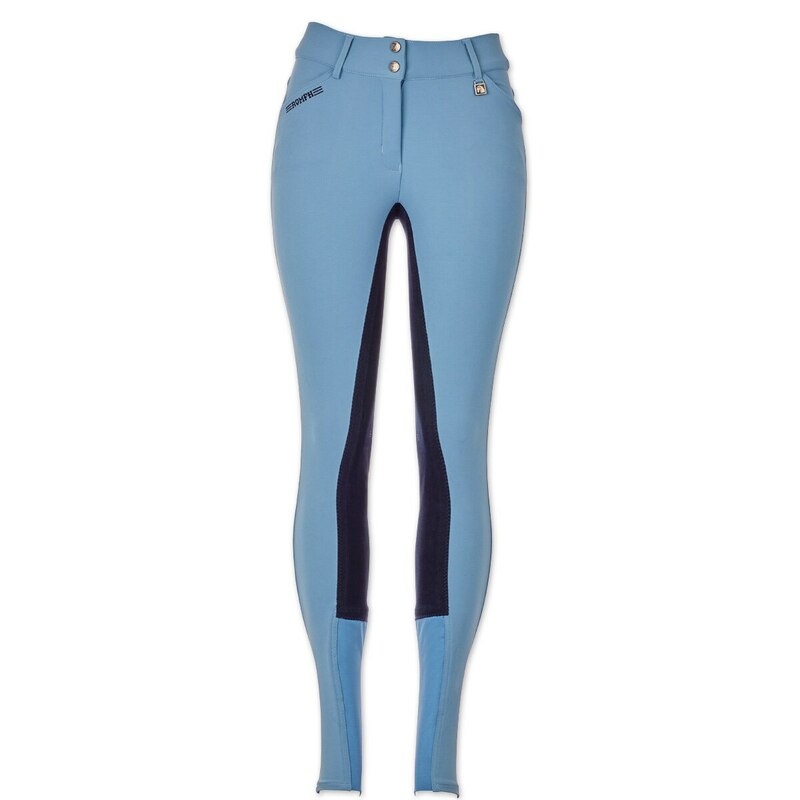 Mid-rise fit with a wide contoured waistband will ensure a flattering fit so you'll always look your best whether its at a clinic or show ring. 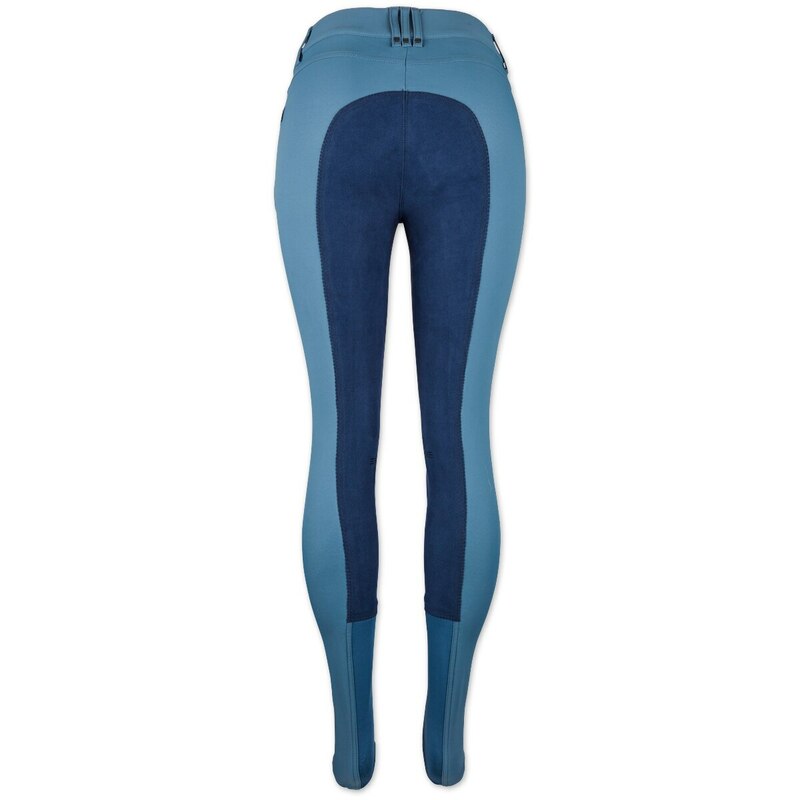 Stretch calf panels reduce bulk and stress points under tall boots to ensure a streamlined fit. Romfh Sarafina Full Seat Breech is rated 4.5 out of 5 by 47. Rated 5 out of 5 by Janabanana from Finally fit!!! I am 5’11” and 145 pounds. 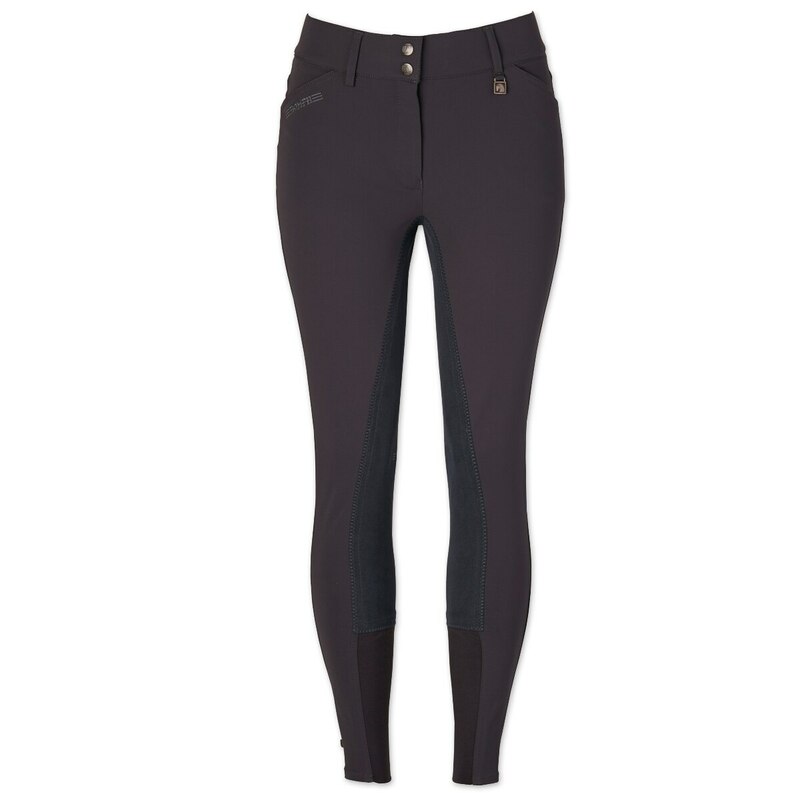 I have the hardest time finding breeches that are long enough, right enough on my legs and roomy enough in my waist. I am built like a straight thin man. 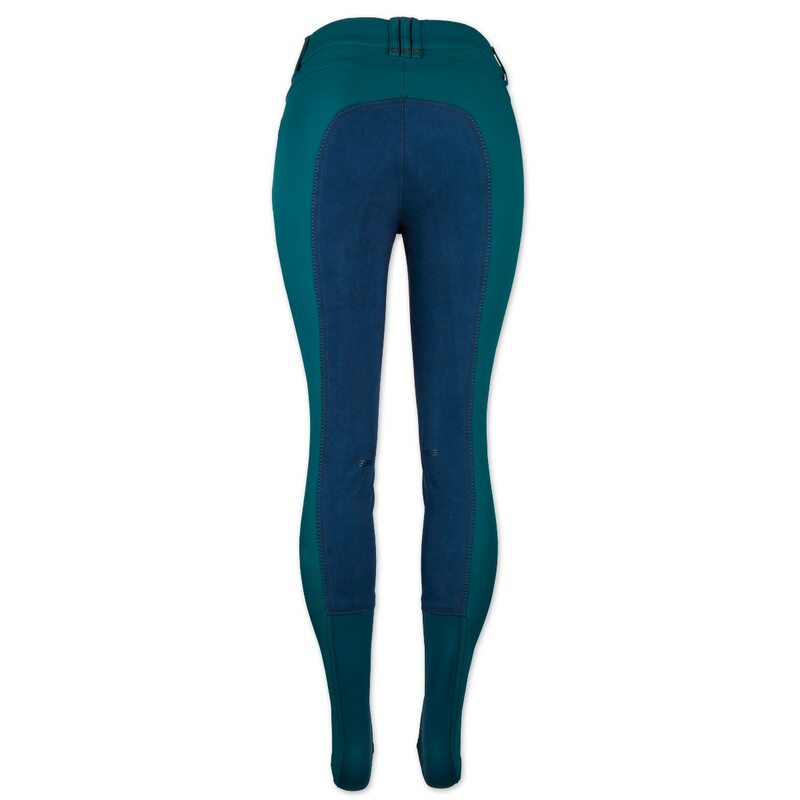 When I read the other reviews about them being too tight in the calf and too loose in the waist, I knew they would be perfect for me. Voila!! A perfect fit! I love them!! I haven’t washed them yet but wore them two days in a row and they seem to repel dust and are extremely comfortable. I find the silicone grips on other styles TOO grippy, and these are just right. Hooray! 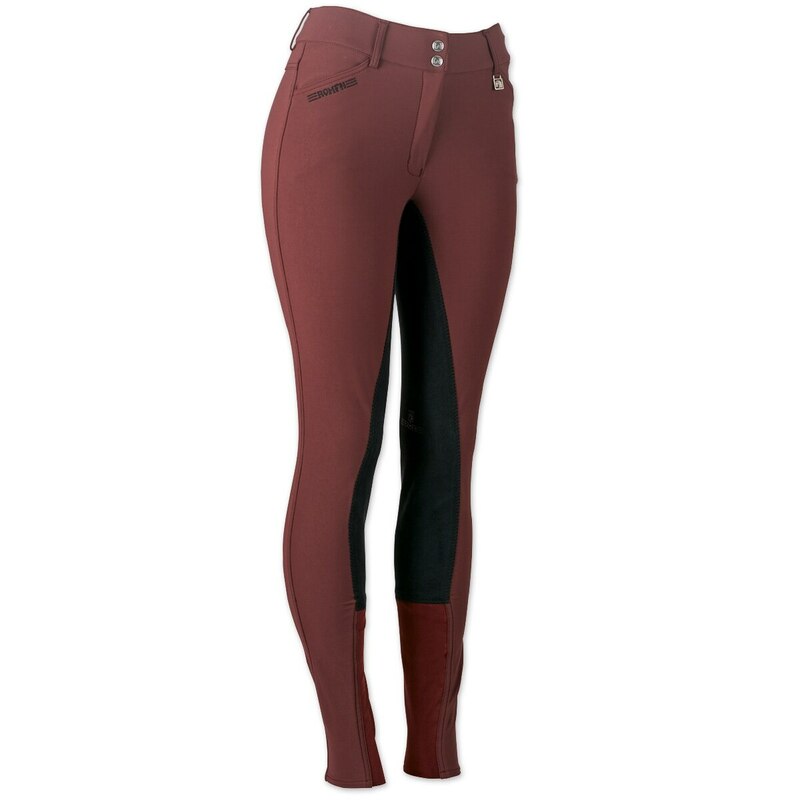 Rated 4 out of 5 by alsvidur from Sarafina I usually just get a bunch of cheap breeches instead of a few good ones, but really liked the color these were in. You still need a belt around the waist. The calves are really tight. I don't have big calves or anything but these were almost uncomfortable since the tightness started right behind my knee. I liked that the suede actually covered my knee - with my long thigh, suede usually doesn't cover all contact points, but these were well done. In terms of stickability, the full seat didn't offer as much grip as the cheaper brands. It was almost like riding in normal knee patches. The seat/body of these fits really well and makes you look slimmer, I think. (No idea how!) 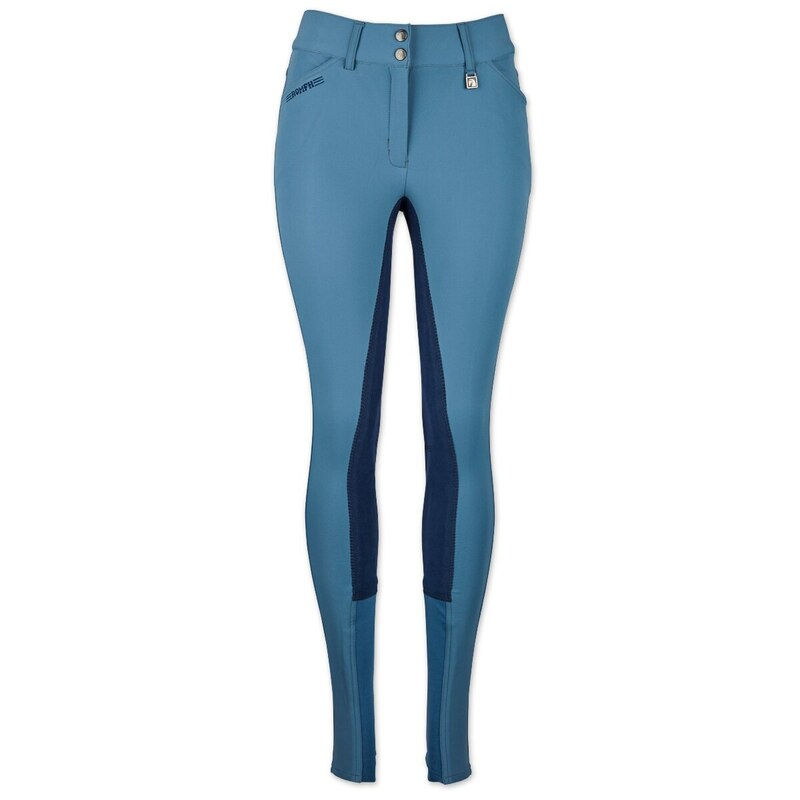 All in all, I think I'll stick to my Pipers in the future, but these were by no means a bad set of breeches. Rated 5 out of 5 by stfox from So comfortable These are my go-to for breeches. 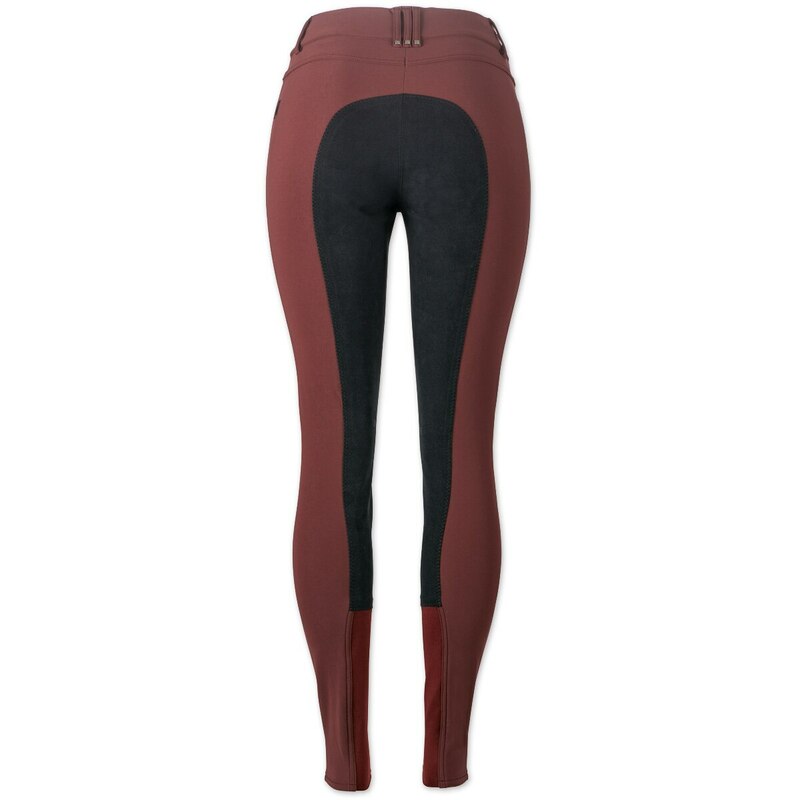 They are super comfortable and flattering. Rated 3 out of 5 by Equanimity from "Deep Sage" is GREEN, baby! 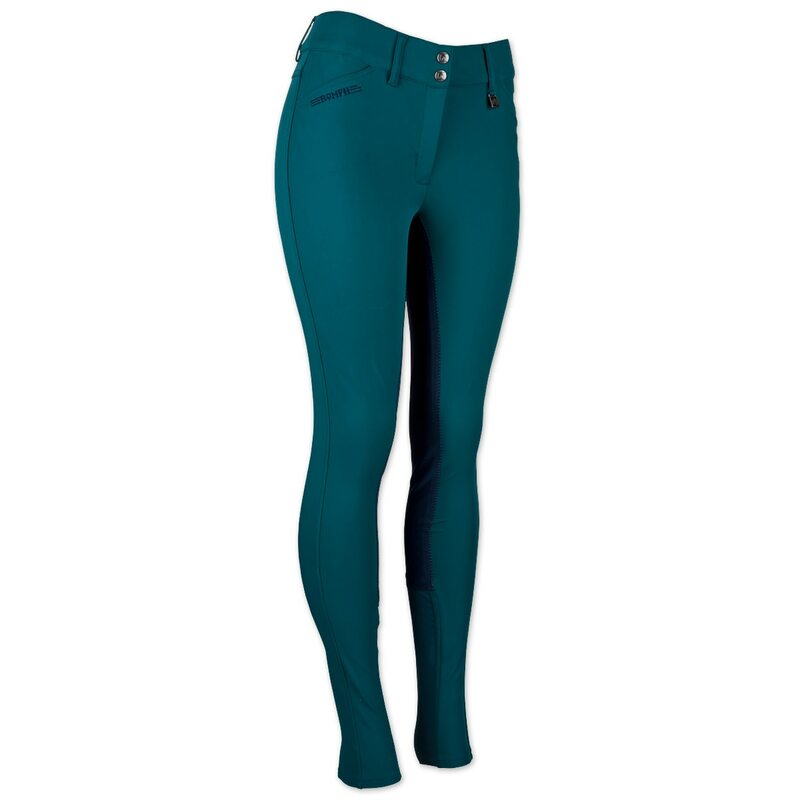 They didn't look that green online, but make no mistake: These are green breeches. And not a very pleasant shade of green, either. Blech. 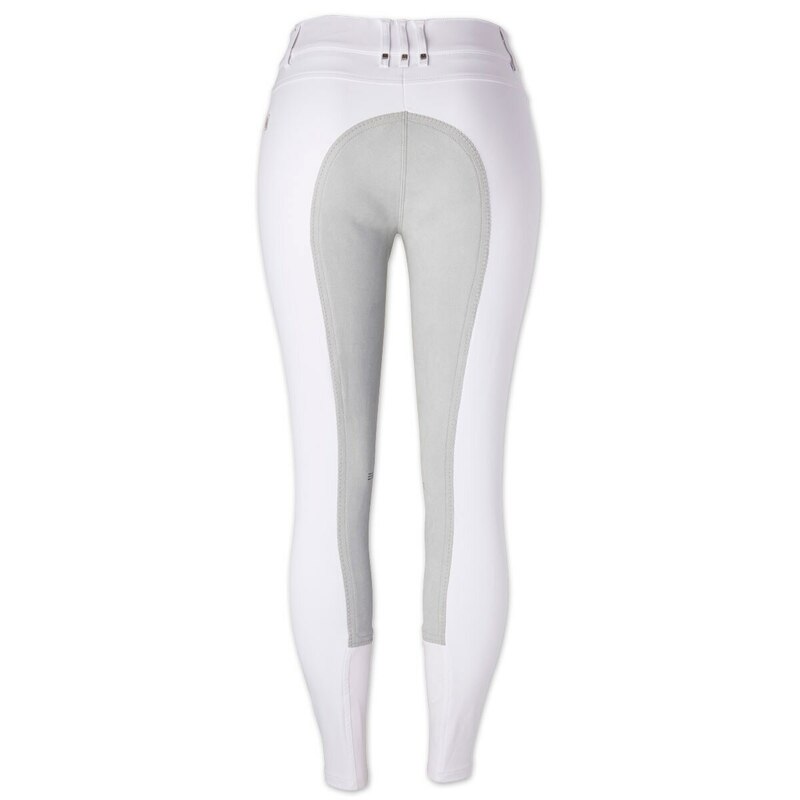 Rated 4 out of 5 by White horse from Good quality but wrong fit I wanted to give a try to Romfh brand. 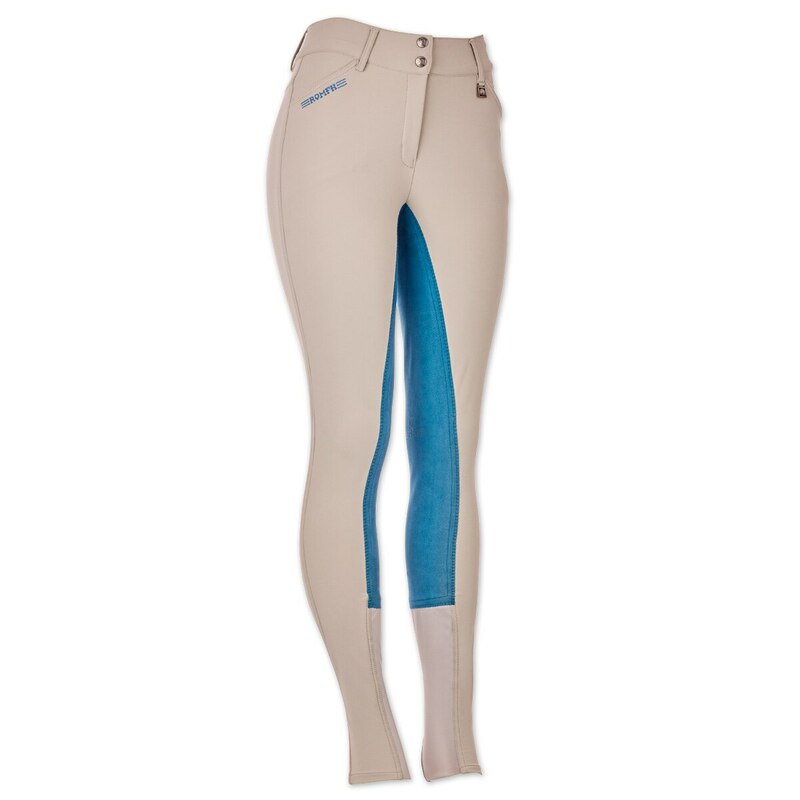 Earliar I purchaced my usual size 26L Romph breeches, different style, and I didn't like the fabric. 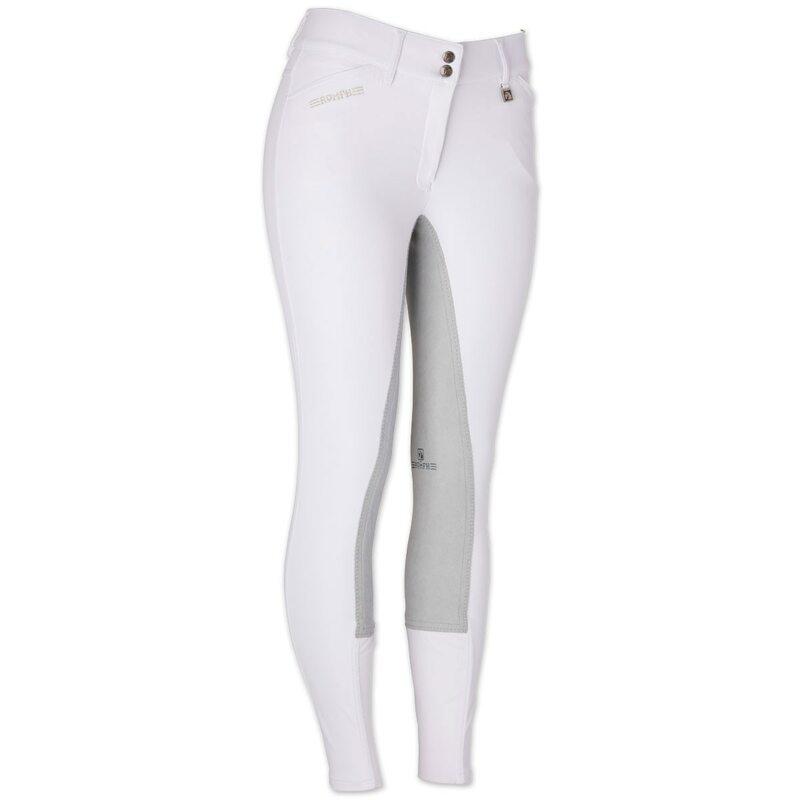 These breeches I ordered size 28R because they were on sale. 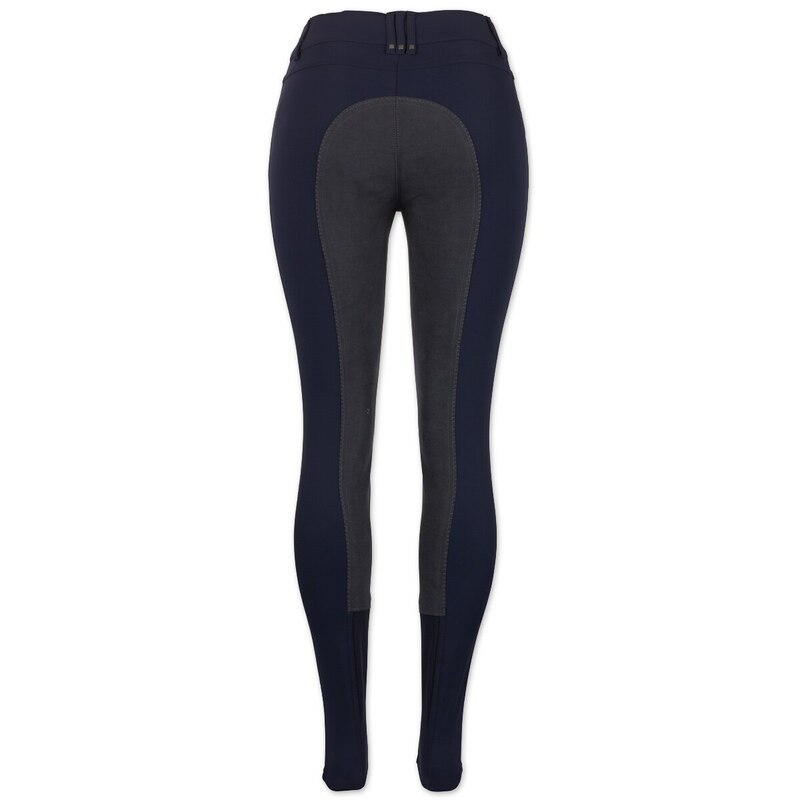 They are great quality, fabric contains 60% cotton just like Pikeur breeches, but fit was not perfect for my body. 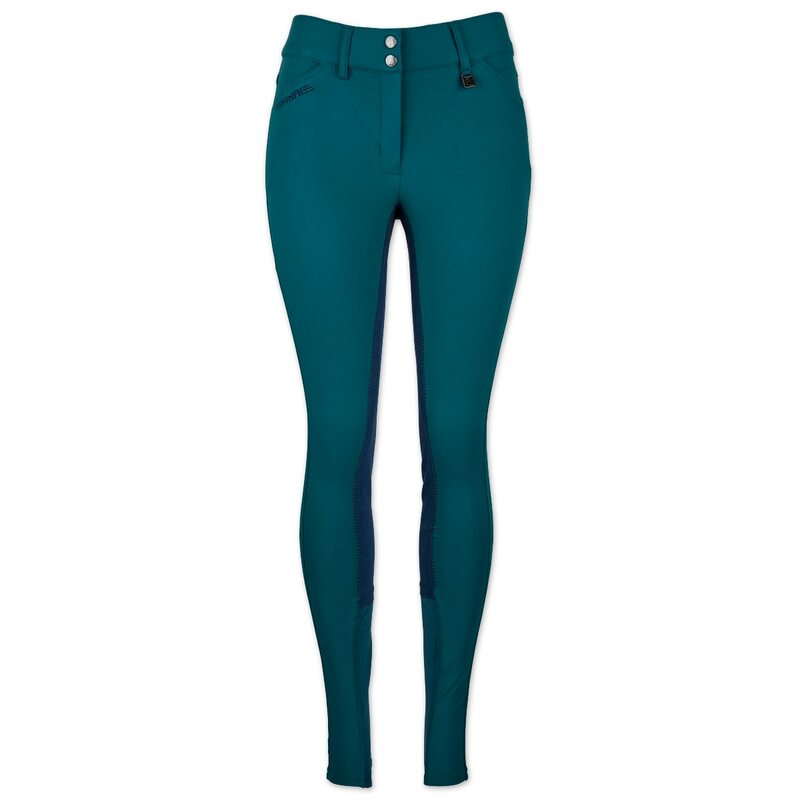 They fit well on legs and hips but have about 1.5 inch extra space on waist. Otherwise they seem like very well done pair of breeches. I would keep them if they fit me. 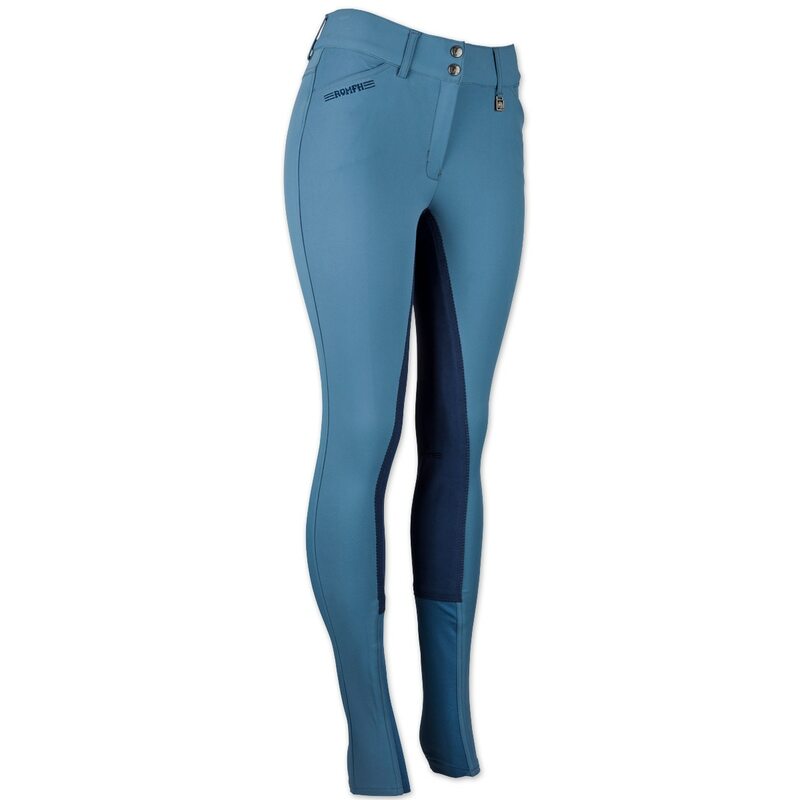 Rated 5 out of 5 by Cathy76 from Great fit and quality I have a difficult to fit lower body, and find most breeches will not accommodate my curves. 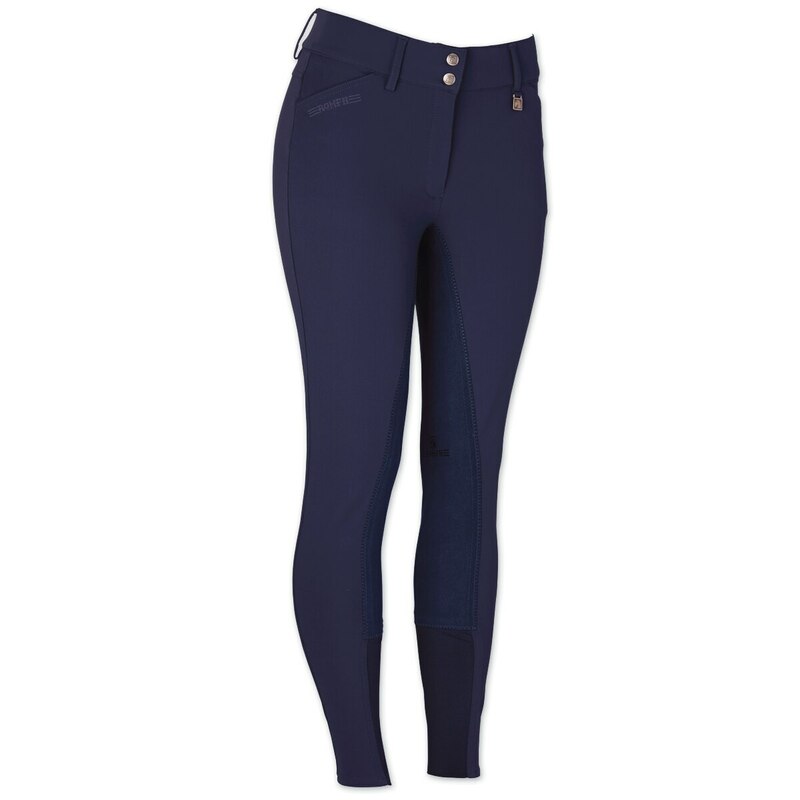 These breeches not only look great on, they feel good and the quality is really nice. Looking forward to competing in these and feeling good wearing them! 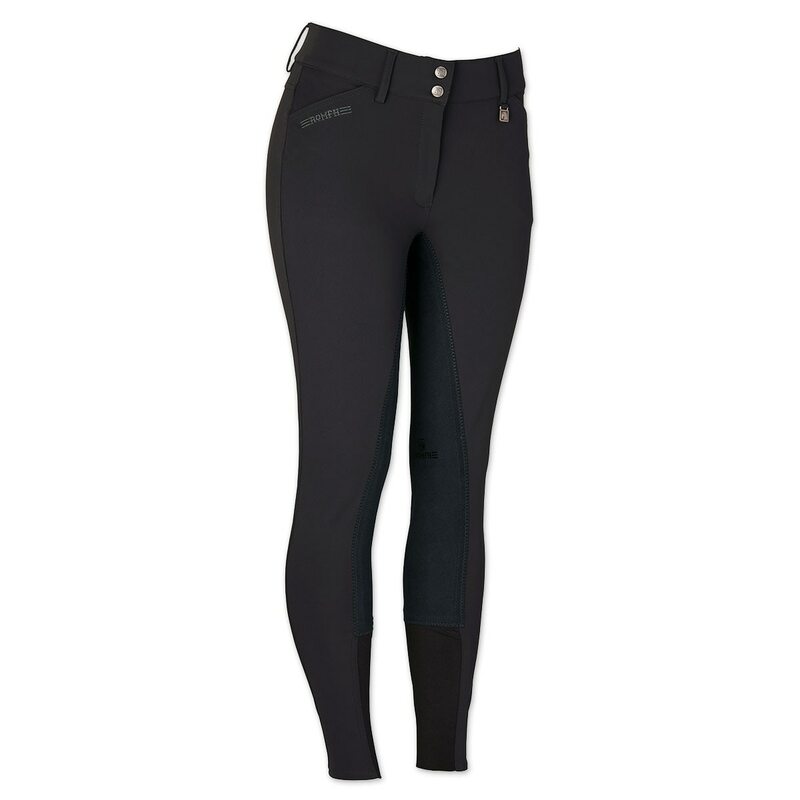 Rated 5 out of 5 by Jenv from Very comfortable Great breeches with TONS of stretch. Seem to be really good at wicking moisuture as I feel cooler in them. The snagged them the first time I wore them, my fault. 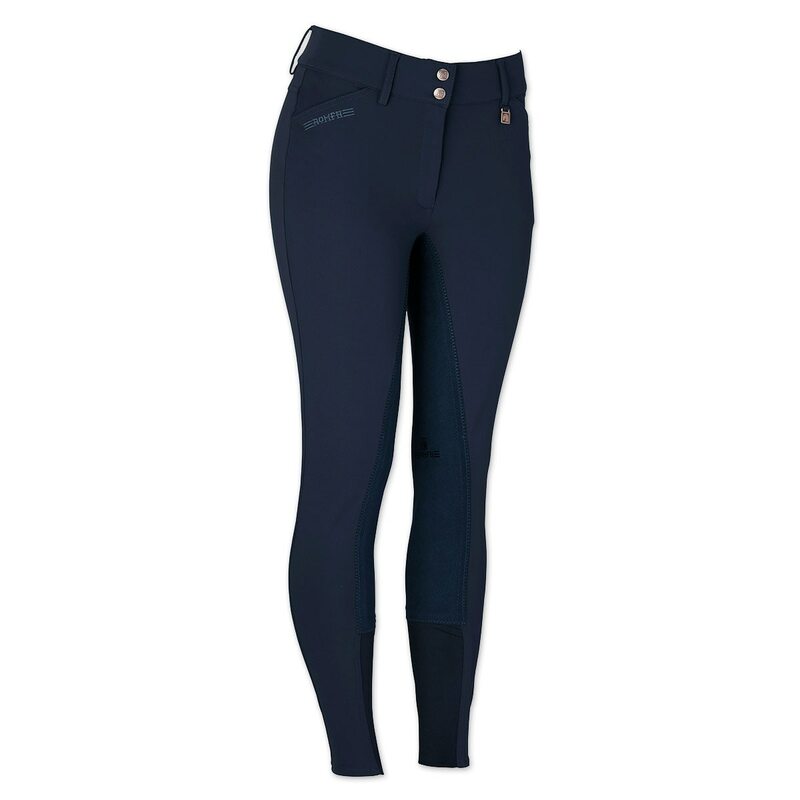 Rated 4 out of 5 by Sandisoo from A well made breech I bought these about a month ago after trying several different full seat breeches to find something that fits me and doesn't have the silicon seat. 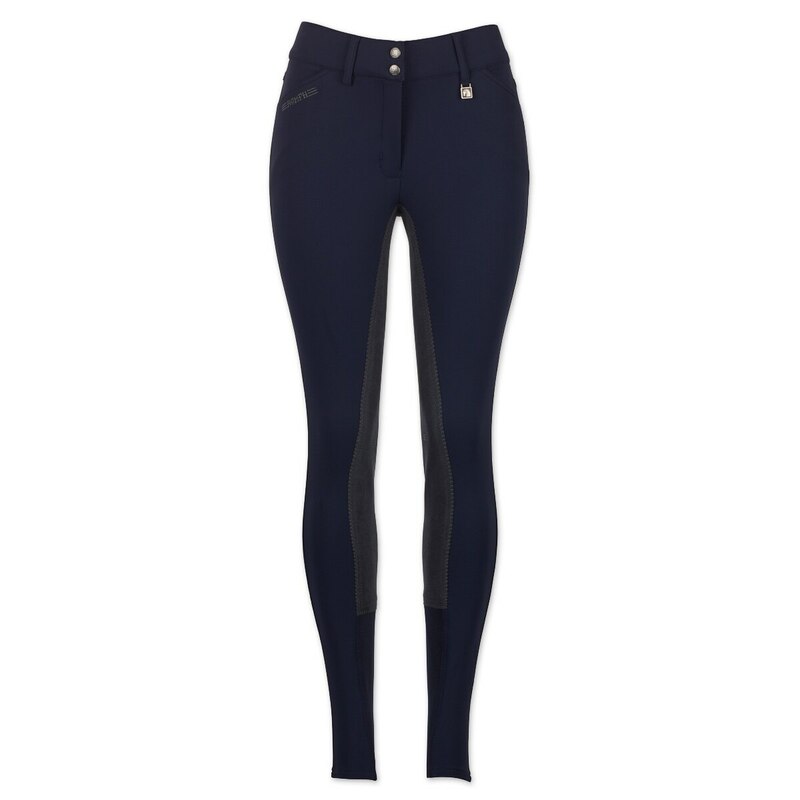 These are very nice breeches. The fit is not perfect for me as it would probably work on a curvier body type but at least the leg is long enough for me. 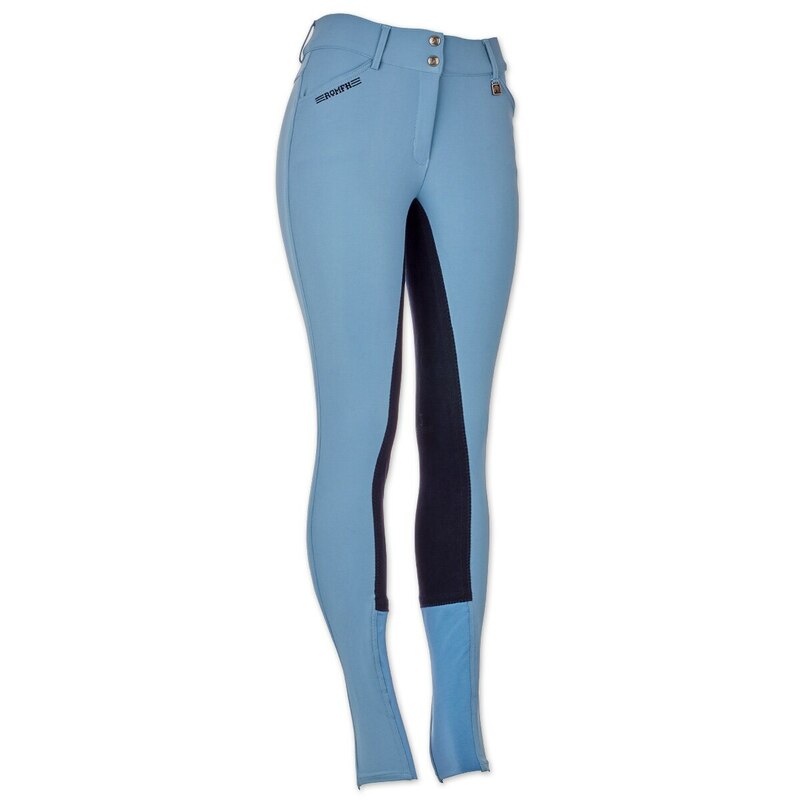 They are very well made, comfortable to ride in and and really nice looking on. The price is a bit steep but if they hold up for a few years it will be well worth it. 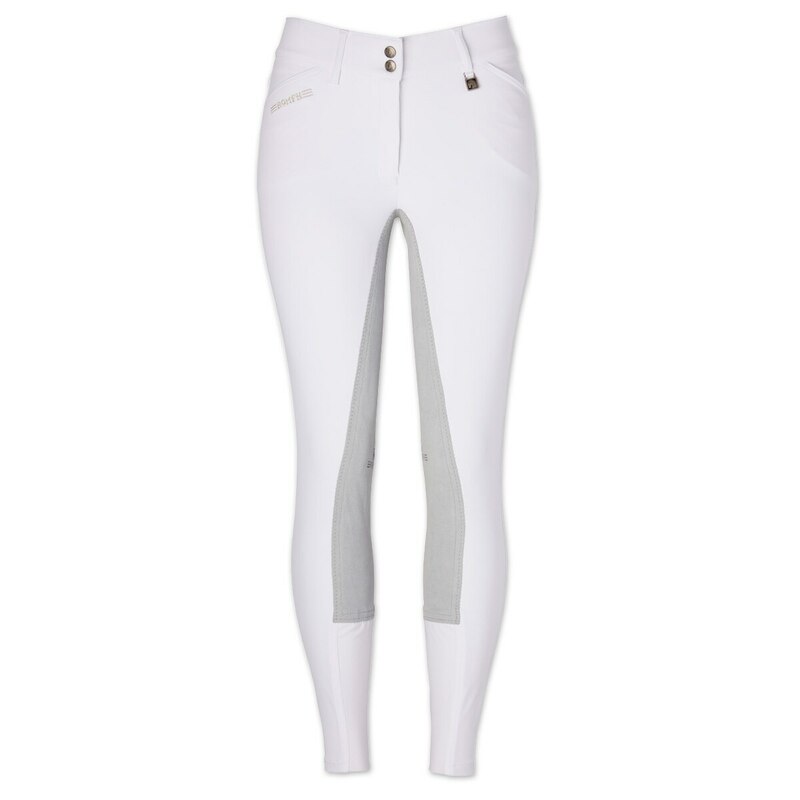 Rated 3 out of 5 by Mari from Disappointed in these breeches. 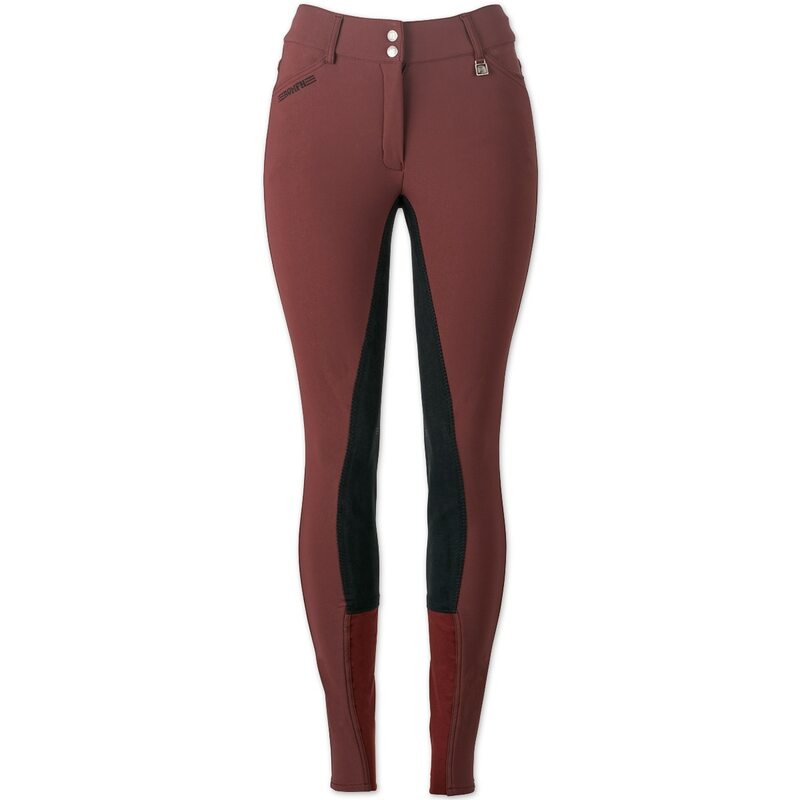 I really wanted to love these breeches. My trainer wears them and loves them. However, she has very thin lower legs. My lower legs are normally sized. I am 5'5" and weigh 110. 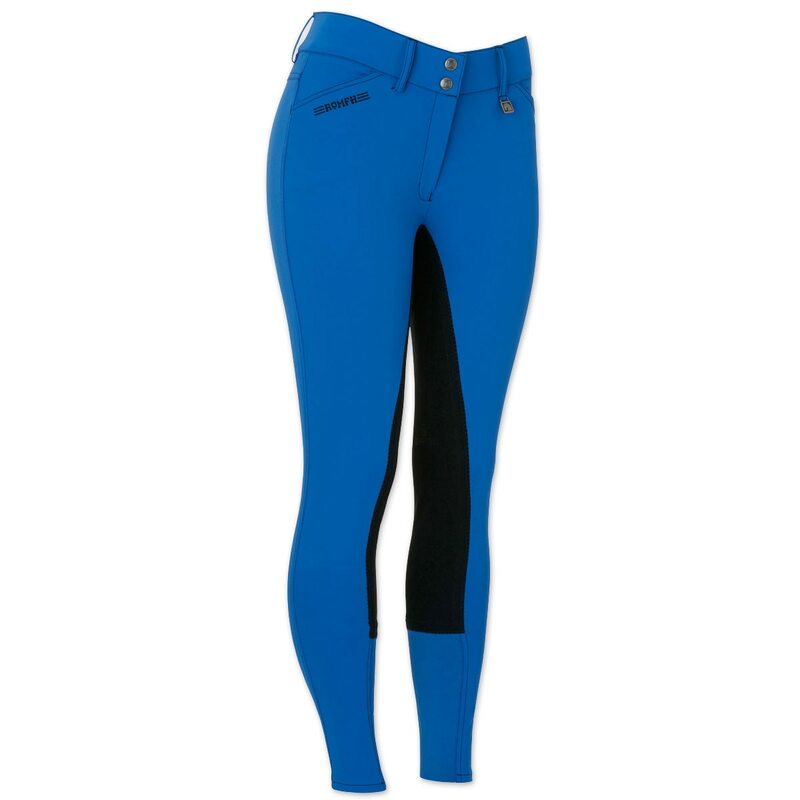 These breeches were so tight in the lower leg that I could not even pull them up. Had to send back for that reason. 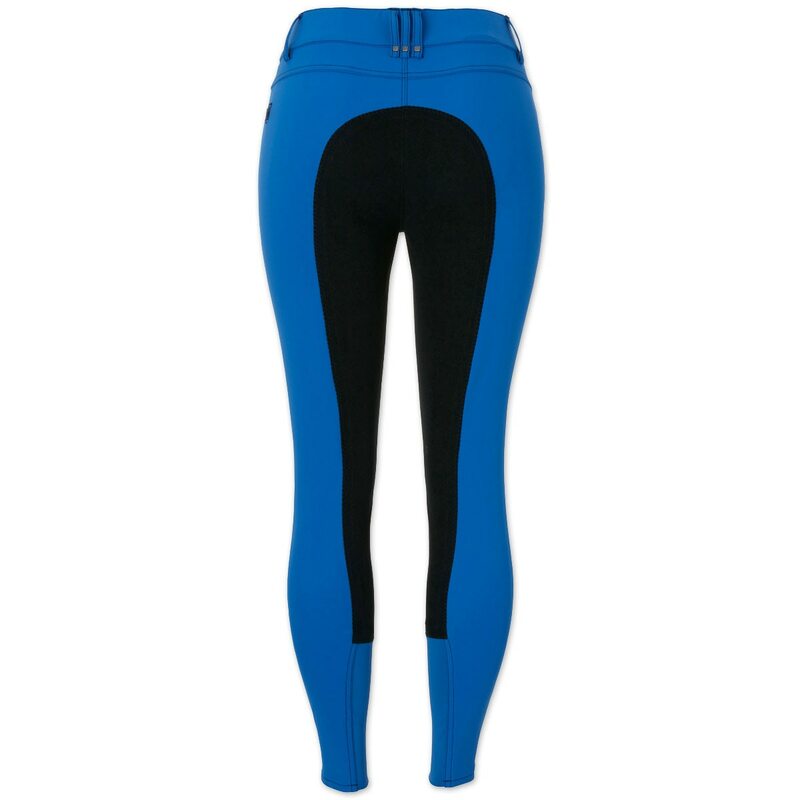 Rated 5 out of 5 by CincoV from Perfect fit and very comfortable I bought these along with a pair of Pikeur’s. I find I reach for these more often than I do the Pikeur. Surprised me!